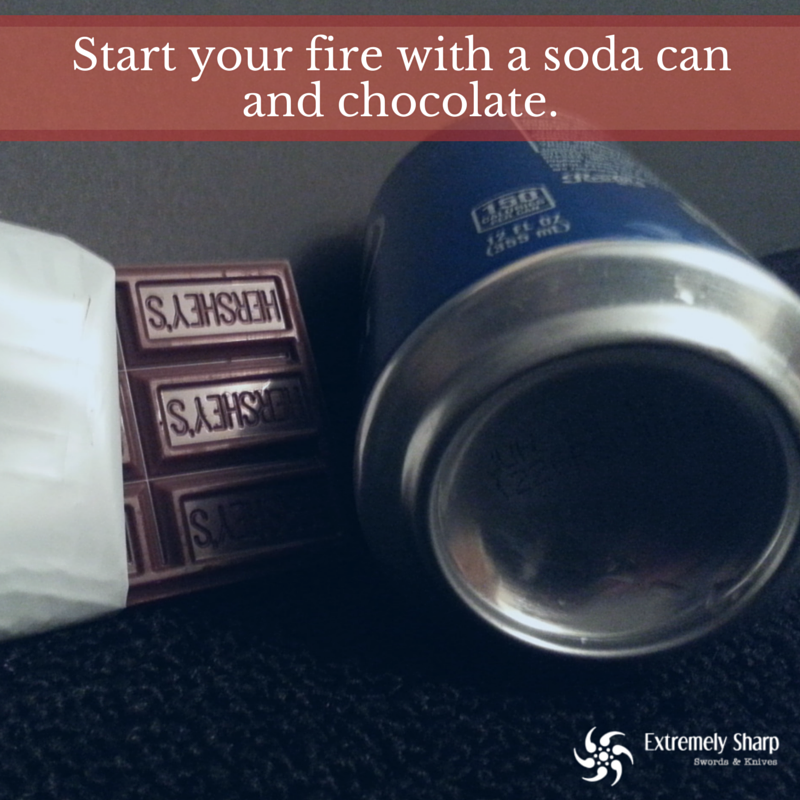 There are many ways to create a fire. 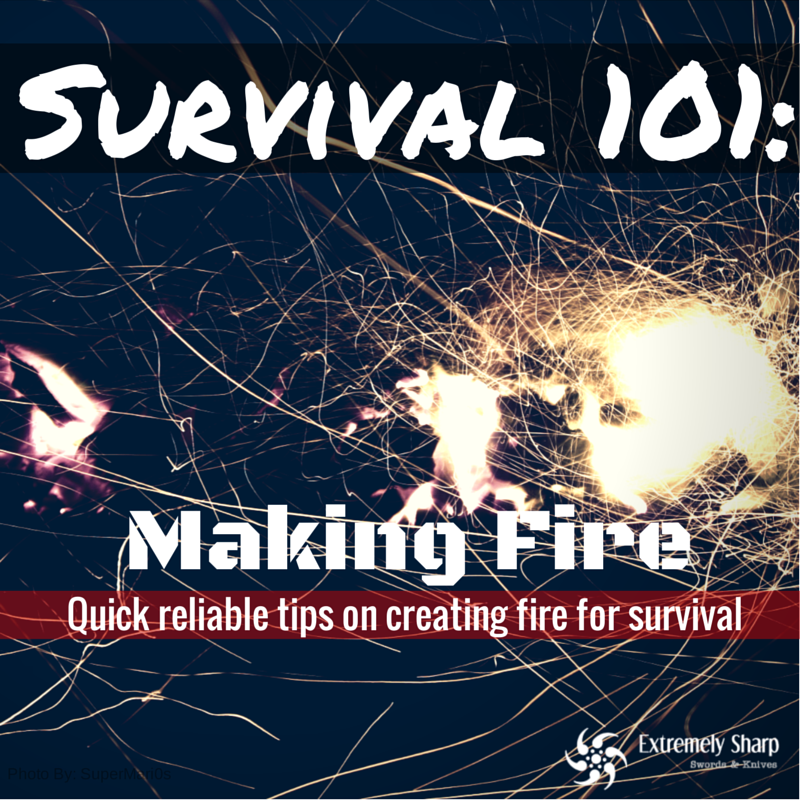 Check out what simple fire-starting methods we found. This works folks and here is how. Then, re-poslish with the wrapper (or cloth), vigorously. Repeat this for 30 minutes until you get a nice smooth finish at the bottom. Next, grab some tinder (something flammable) and place at your desired spot. Then, angle the can so that the sunlight can reflect off the smooth bottom and beam at your tender. This should create heat and light your tender on fire. Thanks chocolate and coke can! Chocolate isn’t the only polishing agent you can you use. Toothpaste, jewelers’s rouge and fine steel wool are all worthy of giving you a complete finish on the bottom of the can. Chocolate takes up to 30 to 60 minutes to get the desired look. Other polish agents take up to 15 minutes. Using saran wrap or something clear or transparent works best with this method. Make a pocket with saran wrap, then fill with water. Tie the pocket so that it looks similar to a water balloon. Place your tender at it’s desired spot. Next, place your makeshift water ballon over the tender, letting the sun beam through the water. The goal is to try and get a nice sun ray beam through the balloon as you would with a magnifying lens, so you can create a source of heat to start the fire. Once you get smoke from your tender, lightly blow on it to raise the flames to get you a nice fire going. 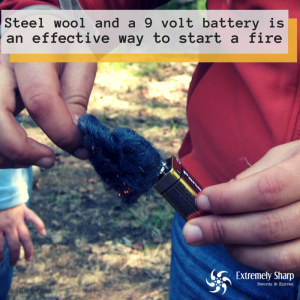 This method is very simple as all you need is a 9-volt battery and steel wool. To ignite the fire, rub the steel wool on the negative ( – ) and positive ( + ) contacts and sparks will immediately form on the steel. Place some tender on top of the steel wool to get your fire started! First, cut the tip of the crayon but leave enough of the wax where a little is still above the paper. Light the wax until you get a nice flame going and you will have your crayon candle! Practice your favorite method so that it becomes second nature to you. This gives you an advantage during any emergency situation you may find yourself in. Also, if these don’t work out for you, look for other ways to start your fire. Check out our fire-starting devices and reliable lighters that can save you the hassle of starting your own flames. Do you know other ways to spark up flames? Let us know in the comments!